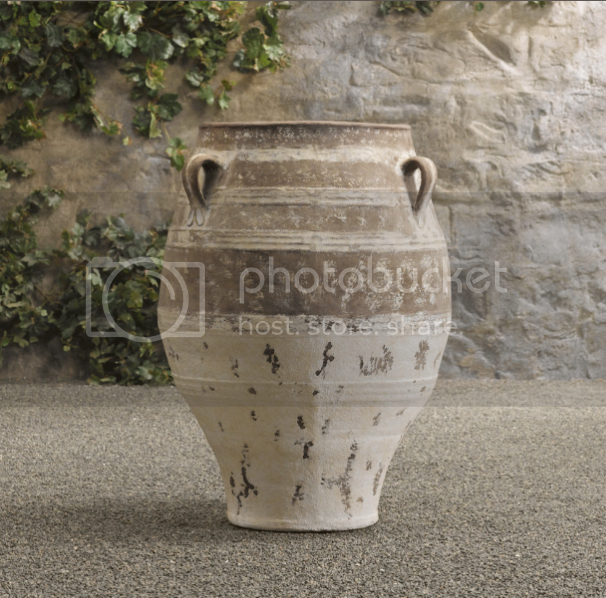 For as long as I can remember, I have loved the look of Mediterranean jars used in indoor and outdoor decor. So, when I opened the most recent Restoration Hardware catalog, I was so excited to see that they now offer a few! Of course they do not give them away, but I have had a hard time locating one and this just might be the place. I'd love to place one or two by our front door or set one in a corner in a our house. It might even look nice in a corner right outside our backyard. Although, I can picture it now...my boys are sure to knock it over!